Yep, you read that correctly. 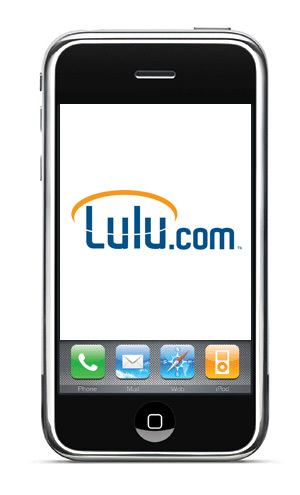 Lulu, a company known primarily as a PRINT on demand company, is now delving into eBook as well. They will offer optional DRM, Multi-Device Support (Mac, PC, iPhone, Sony Reader, and Stanza), and you’ll have your choice of formats (ePub and PDF with more on the way). And, to make it an even more attractive choice, they’re only charging you $3.99, so whatever you charge over that is all yours to keep. For those who have an issue with Amazon and don’t want to put their work on the Kindle, yet still want to offer an eBook, here is an option for you. What does Lulu do for that $3.99? I mean, what sort of work do they do beyond serving the files up? Because $3.99 isn’t a big deal if they take care of the format conversion and making sure that it looks good in the target format, but if all they do is put files you give them up on their web site, then $3.99 is a bit much. I haven’t gone through the process, but I’m assuming they take your text and formatted it into the mentioned formats, which is nice if you don’t want to do that yourself. Doesn’t sound like too good of a deal. I think Michael is on the right track here. The file is electronic, so the cost shouldn’t be much for them to convert it. If anything, maybe they charge you up to $50 from the total amount you sell, then after that it’s all yours. I charge $3.99 for my ebook, so I would either not make anything, or would have to mark it up just to put a few cents in my pocket. It’s more about having a nice price point to stay competitive and give the readers a nice story for a nice price. Maybe Lulu will rethink their plan and restructure it soon. I think it all depends on how much you’re willing to lose for convenience. You can make an eBook yourself if you’re savey, and you can make it purchasable if you know how to do that, but some don’t know either, so this would help them out. They just make less. Smashwords is a much better deal. Easy to use, multiple formats, distribution deals with Barnes and Noble, Sony, Amazon Kindle, and soon Fictionwise. You have total price control, including “let the reader decide”, free, or any other price. You can also generate coupon codes, and set the percentage and the time period for which it is valid. Smashwords takes something like a 35% cut of each sale you make. Lulu used to be a good deal, but over the past few years, they’ve moved toward grossly overcharging for not very much in return. Dave, I’ll have to give that a look-see. Thanks!